Atmail has just had a awesome new version rollout for the Atmail cloud, this includes an all new WebUI, Storage capabilities, improved Admin and HW/performance upgrades in the backend. 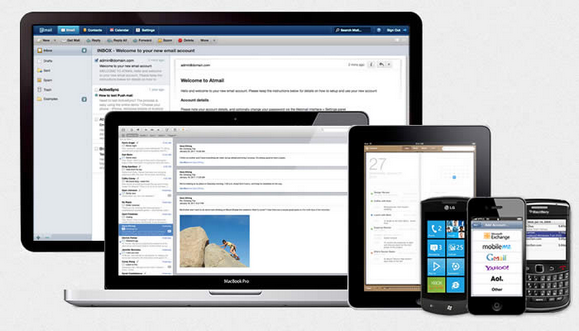 Email, Calendars and Contacts in sync across all devices. Step-by-step wizards to create email addresses for any domain. Automatically generated client setup guides. 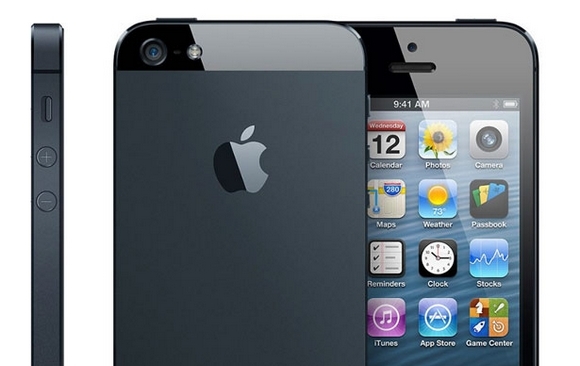 1-click iOS install for iPhone and iPad. Intuitive UI that users love. Easy to use graphical admin. It all helps reduce support calls. Atmail Cloud service is suitable for SMB + resellers who are looking for an alternative to Gmail, or users wanting to move their on-premise email solution to the cloud. You can signup here as a trial user 20 users are allocated (10GB quota each) for 14-days. Atmail is very kind to giveaway 10 free accounts (5 users each) for one year to our readers. Just leave a comment below in order to win this contest. We will pick 10 readers and announce the results on 16th Feb 2013. Best of luck. Thank you for all of the participants of Giveaway: $300 and $200 Worth of PSD2HTML Services. We are happy to announce the following winners. Congratulations. You will receive an email from PSD2HTML with instructions of getting your prize shortly. PSD2HTML.com is a fast and reliable PSD to HTML coding company with over 8 years of experience and 55,000 clients and counting. Their team of over 370 in-house pros ensures the highest quality for each and every project. PSD2HTML® provides high quality conversion of your designs into valid, human-coded, fast-loading XHTML/CSS and HTML5/CSS3 code. Should you need more than markup, PSD2HTML® can handle WordPress, Drupal, or Shopify theme implementation, mobile website templates, PSD to Email Template coding services, and much more. All their work comes with a strict NDA and a 100% money back guarantee. 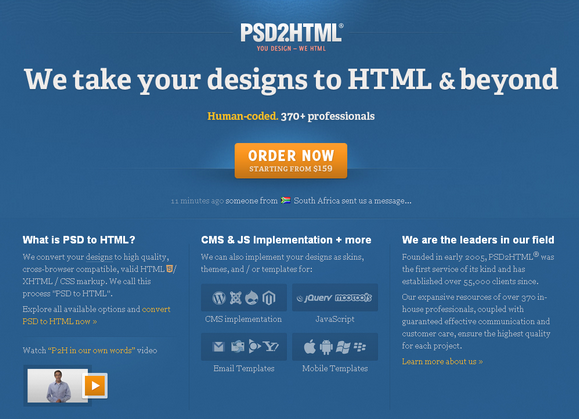 Today, PSD2HTML® is is giving away $300 and $200 worth of their services. Just leave a comment below for your chance to win. Only one entry per person please. We will pick 2 readers and announce the results on 1st Feb 2013. Best of luck. Thank you for all of the participants of Giveaway 5x Awesome Deals from MightyDeals. We are happy to announce the following winners. Congratulations. You will receive an email from MightyDeals with instructions of getting your deal for free shortly. MightyDeals is a daily deals site that offered huge savings on products we’d actually want as web professionals. Products that we’d actually use on a regular basis. They are dedicated to massive discounts for web and creative professionals. 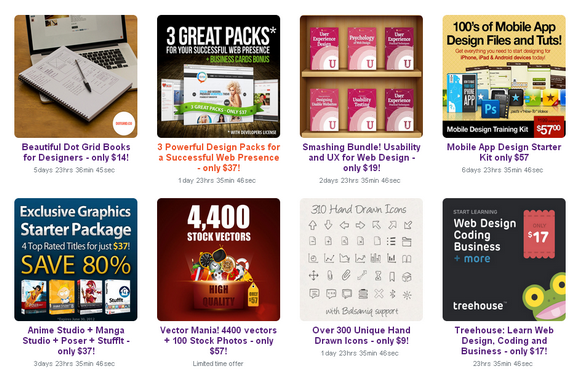 Generally, you can save from 50% to 90% off on things like design tools (royalty-free vectors, PhotoShop actions, etc. ), professional templates (WordPress, Drupal, Facebook), Mac toolkits, web development lessons and more. Our deals are professional products and services heavily discounted for a limited time. MightyDeals is very kind to giveaway one of their available deals totally free to 5 readers of WebAppers. 5 Winners of this contest will each get one choice of any of the items currently offered at MightyDeals at the time of this post. Thank you for all of the participants of Giveaway 5x One Month Subscriptions of Depositphotos. We are happy to announce the following winners. Congratulations. You will receive an email from Depositphotos with instructions of getting the one month free subscriptions shortly. 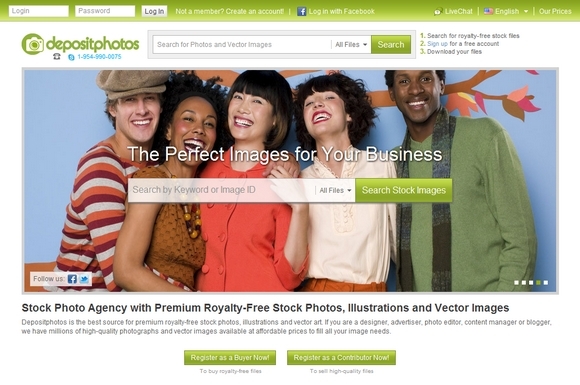 Depositphotos is your resource for buying and selling royalty-free files (photographs, vector images, videos, etc.). The vast library coupled with our wide variety of flexible purchase options makes them the most convenient and profitable tool for designers, artists and photographers. Whether you’re a designer looking to buy files for a project or a contributor selling your stock, they make working with Depositphotos as easy as possible. Their low pricing and flexible purchase plans make it easy to buy exactly what you need instead of just what you can afford, and their generous commission structures give contributors enormous earning potential. Depositphotos is very kind to giveaway 5 x One month subscription plan (worth $99 each) to our readers. This includes access to all the stock photos and vector images of Depositphotos. Just leave a comment below in order to win this contest. We will pick 5 readers and announce the results on 23rd Sep 2012. Best of luck. Thank you for all of the participants of Giveaway 5x 3 Months Web Dev Training from Treehouse. We are happy to announce the following winner. Congratulations. You will receive an email from Treehouse with instructions of getting the free subscriptions shortly. UPDATE: Sorry, I missed two. 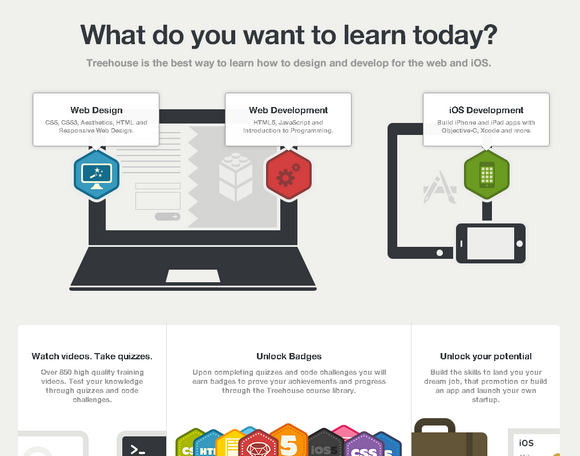 TreeHouse is the best way to learn how to design and develop for the web and iOS. Along with over 800 high-quality videos, Treehouse uses online quizzes and badges to teach people. If you plan to learn web design, web development and coding, Treehouse is the best place to be. Their mission is to bring affordable Technology education to people everywhere, in order to help them achieve their dreams and change the world. Treehouse is very kind to giveaway 5 x 3 months gold membership from Treehouse (worth $147 each) to our readers. This includes access to over 800 high-quality videos, online quizzes and much more! Just leave a comment below in order to win this contest. We will pick 5 readers and announce the results on 2nd Sep 2012. Best of luck.